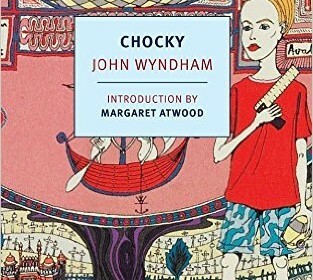 In Chocky by John Wyndham a child’s fantasy may be more than what it seems. Mathew’s father, David, is working in the garden when he notices that his eleven year old son is having a conversation with himself. He would think nothing of it, except for the fact that Matthew appears to be having a two sided conversation. Concerned and somewhat curious, he goes to his wife, Mary. He and his wife decide that Matthew’s strange behavior is likely a passing phase, choosing to observe Matthew just in case, but to not say anything. Some weeks after they reach this decision Mathew falls ill. While suffering from a high fever Matthew begins telling a being called Chocky to leave him alone, only calming down after his mother, Mary, also tells the being to leave. Afterwards Mary and David worry that “Chocky” may become a nuisance similar to their other child Polly’s old imaginary friend Piff. Chocky, however, may be something larger than Piff, as Matthew begins to ask questions that baffle the adults in his life under the supposed influence of Chocky. He even claims that Chocky occasionally takes control of his body once given consent. David and readers are left to question if Chocky is real, and if so, what is Chocky? Chocky was written in 1969, consequently the language surrounding mental illness within it is dated. This can distract from the story, although the few science fiction elements hold up reasonably well. The novel has a light tone, but because it is told from the perspective of an adult. I would recommend it to an audience of eleven and older. I would also reccomend it to such an audience because hopefully a slightly older audience would be able to notice the flaws in the dated language and understand why such language is no longer used. This also applies to some comments male characters make about women. Chocky is a good pick for anyone looking for a short read that does not lose reader’s interest.